Glenn Faulkner is one of Four Seasons Tree Care’s long standing specialists on staff. He first began his career with us in 2000. He has an additional 6 years of experience in the landscaping and lawn care field. Glenn is head of Four Seasons Tree Care’s Plant Health Care Program, he is a Certified Arborist with the Ministry of Training Colleges & Universities, he holds his Landscape Exterminator Licence and a diploma from Seneca College in Parks and Recreation. To further his knowledge and industry skills, he has participated in many educational workshops and seminars through The International Society of Arboriculture, The Ontario Commercial Arborist Association, Landscape Ontario and internal staff training. Glenn is a religious man with a beautiful wife (of 18 years) and father of 3 amazing kids. He loves to spend time with his family whenever possible. He enjoys camping, fishing, hunting, sports and more camping. 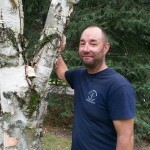 Shane Lund is a highly respected and very experienced Arborist. He began working with Four Seasons Tree Care while attending high school. Shane works alongside his family in building a very successful and safety aware Arboriculture Company that has been in operation since 1983. 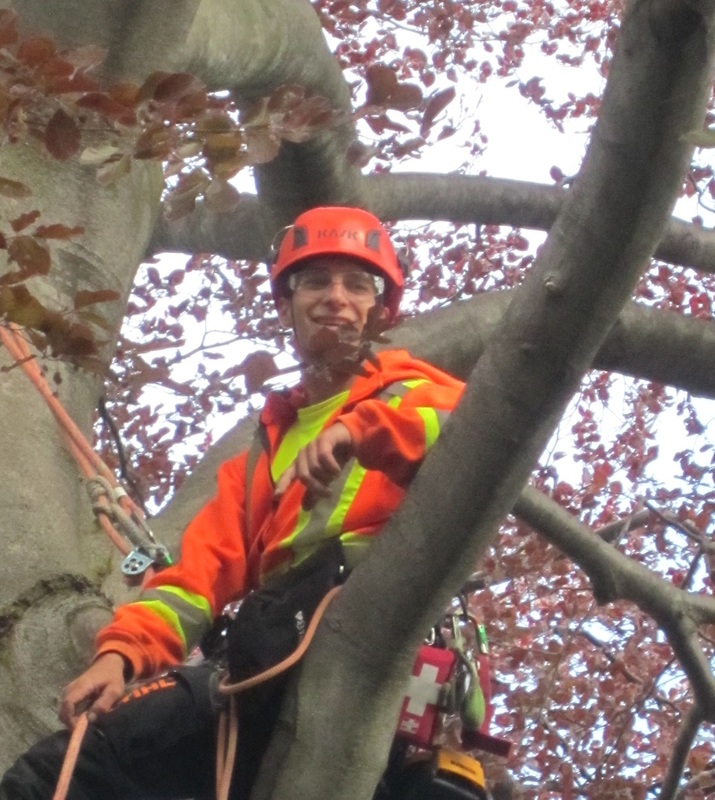 Shane is an International Society of Arboriculture Certified Arborist, ISA Certified Tree Climber, Qualified Arborist Ontario, an ISA Certified Tree Risk Assessor and holds his Ontario Landscape Exterminator Licence. He stays current with the latest research, education and technology as our company believes it is a key element to providing superior services for people that want the best for their trees. Shane is a very accomplished Arborist who served on the “Arborist Safe Work Practices” committee for over 10 years and as a director for the “Ontario Commercial Arborist Association“. For ten years during the winter months Shane taught climbing and rigging within the Humber College Arboriculture program. In January of 2019 Shane taught a new Government hosted program, “The Ground Worker”. To further his knowledge and industry skills, he has participated in many educational workshops and seminars through The International Society of Arboriculture, The Ontario Commercial Arborist Association, Landscape Ontario and internal staff training. Shane is a very dedicated family man who enjoys spending time with his wife and son. Other hobbies include wood working, golf and hockey. 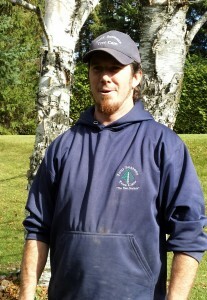 Paul Leslie is a very dedicated and hard working Arborist that has been with Four Seasons Tree Care since 2008. 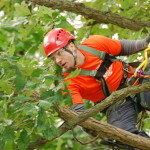 He is an International Society of Arboriculture Certified Arborist and Certified Tree Worker Climber Specialist. Paul also graduated Fleming College in Urban Forestry and Georgian College in Carpentry. To continue advancement within the industry, he participates in many training modules through The International Society of Arboriculture, Ontario Commercial Arborist Association, Landscape Ontario and internal staff training. During the winter months Paul teaches in the Arboriculture program at Sir Sanford Fleming College. As a very proud dad of two wonderful little boys, he enjoys spending quality time with them, his beautiful wife and their energetic dog. Paul is also very passionate about the outdoors and takes pleasure in fishing, hunting, boating and snowmobiling. His positive attitude, strong work ethics, engaging sense of humour and extraordinary leadership skills are captivating and highly respected by the Four Seasons Tree Care team. Brennan Rollins is a Certified Arborist with the International Society of Arboriculture and holds an Ontario Landscape Pesticide Exterminator License. In 2006, Brennan joined Four Seasons Tree Care and has been a very valued part of our Plant Health Care team. His insightfulness and razor sharp memory are a tremendous asset. To further his knowledge and industry skills, he has participated in many educational workshops and seminars through The International Society of Arboriculture, The Ontario Commercial Arborist Association, Landscape Ontario and internal staff training. He is a dedicated family man with a wonderful wife and three very energetic daughters. Most spare time is focused on adventures with his family; but, occasionally he will indulge in some other interests such as sports, reading, hunting and Nascar racing. Kevin May is a very creative hardworking and passionate Arborist who has been working at Four Seasons Tree Care since 2015. He is an International Society of Arboriculture Certified Tree Worker Climber Specialist and holds his Ontario Landscape Exterminator License. Kevin also graduated from Fleming College’s Arboriculture program in 2015. To continue advancement within the arboriculture industry, he participates in many training modules and seminars through the International Society of Arboriculture, Ontario Commercial Arborists Association, Landscape Ontario and internal staff training. During the winter months Kevin is a teaching technician who assists with both first and second year arboriculture programs at Humber College. He is devoted to helping others gain safe working practices within the arboriculture industry. During Kevin’s spare time he enjoys cooking/baking, white water kayaking, camping, dirt biking and is a Marvel Comics aficionado. 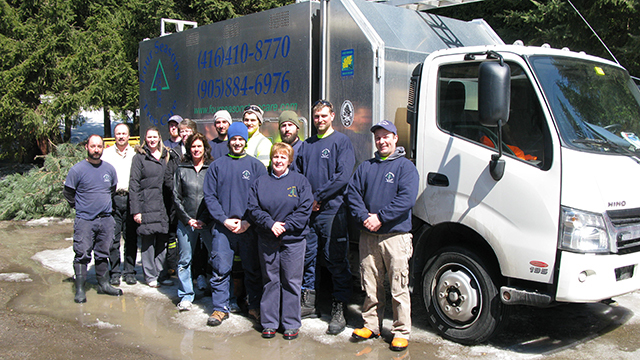 Vivien Brennan is a part of the Four Seasons Tree Care administrative team. She joined the Four Seasons Tree Care family in 2013 and is often the first point of contact for our customers over the phone or by email. With a strong reputation for a friendly and positive manner, she easily develops a strong rapport with our clients. Vivien’s dedication, vast computer knowledge, and organization skills has solidified her value. She assists the management and accounting team with many day to day tasks including planning and report preparations, service and productivity analysis, and Health and Safety improvements. 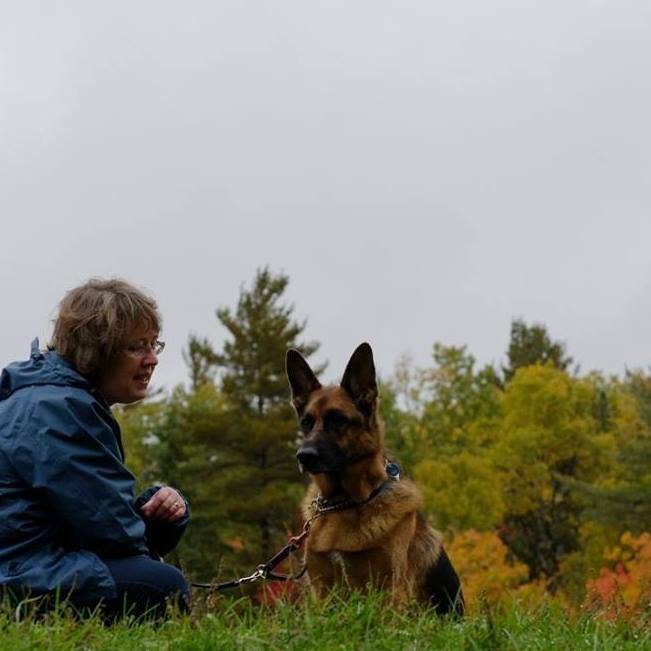 In her spare time, Vivien enjoys photography, hiking and exploring the forest with her 2 beautiful German Shepherds. She also embarks on many dog sport activities with them, such as tracking, scent detection, obedience and protection training. She has a great respect for all things green and enjoys the opportunity to increase her Plant Health Care knowledge through the day to day growth in the office and industry workshops/seminars. Joscelyn Lund is a part of the Four Seasons office team. She is an Honours graduate of Seneca College’s Business Management Program. Joscelyn enjoys the challenge of identifying and solving problems, listening to the needs of others and managing our office. Her dedication and organizational skills have been an asset to our team since she joined in 2002. Joscelyn is a devoted and loving wife and mother of 3 beautiful daughters. She is a triple gold medalist in figure skating. When Joscelyn is not working in our office she can be found on the ice teaching or spending time with her family.